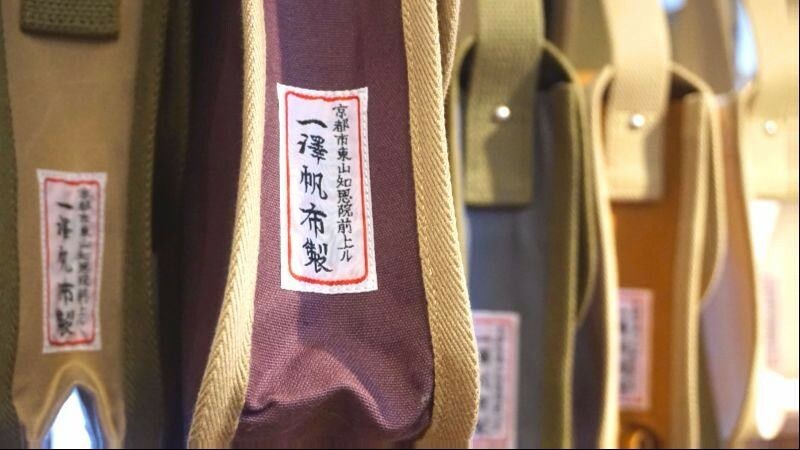 The bags sold at Ichizawa Shinzaburo Hanpu are all made by hand. They still use machines made before WWII to make the bags which are all made by skilled artisans. Because of this, the carefully made bags have a distinct warmth to them, and each and every one of them is unique. 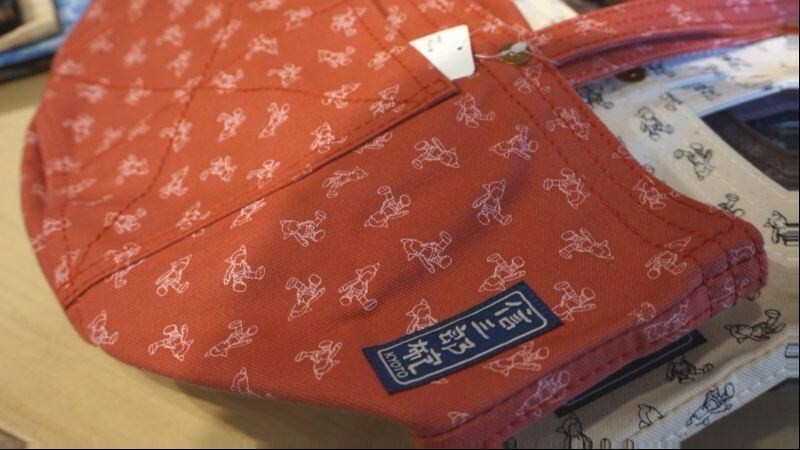 One other special thing about Ichizawa Shinzaburo Hanpu is that their bags can only be bought in Kyoto. They are not sold anywhere else. This is because Ichizawa Shinzaburo wants you to see, feel, and select the bags by yourself here in Kyoto. That makes all of their bags Kyoto limited editions. Ichizawa Shinzaburo’s bags last for a long time, if you take good care of them, they may even last for tens of years. These bags represent the traditional Japanese values of taking good care of things and using them for a long time – something we all need to be reminded sometimes in today’s society. The store can be reached from Gion on foot, so why not go there and feel the warmth of canvas yourself. The shape and design of these “tool bags” haven't changed since over 100 years ago. These tool bags were used by artisans who put their tools in them, but they can be used for other things too. They are just the right size for A4 papers too. This bag is a great start on your journey to the wonderful world of Ichizawa Shinzaburo’s bags. These Boston bags are great for when you go traveling, and they are popular among foreign people. Although they are only 18 cm wide you can fit a lot inside one of these. They have 11 colors for you to choose from. The handle is very durable so you could even put some heavy equipment in this bag and use it at work! You often see business card cases made out of leather, but have you seen one made out of canvas? The softness and flexibility of canvas will make you never want to use any other type of business card case ever again. Because of the flexibility, you can fit many business cards into one of these. It’s nice to have a business card case that’s a bit out of the ordinary. These pouches are great if you have something small you have to carry with you, like makeup or a phone charger. These pouches are light but durable, and there are many color variations for you to choose from. 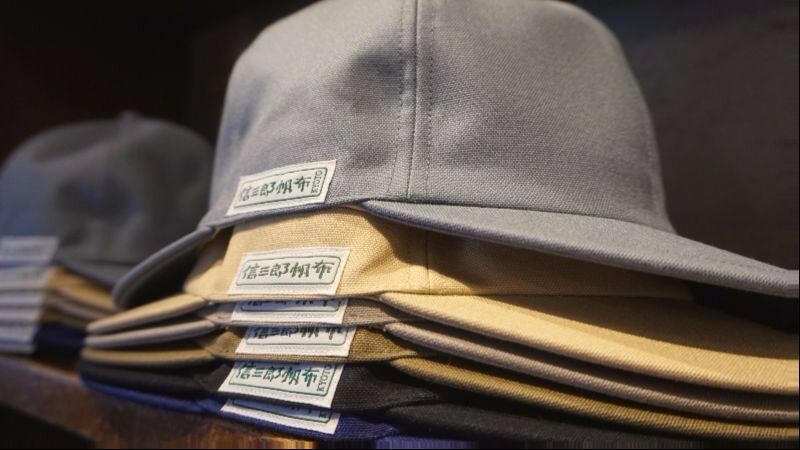 Ichizawa Shinzaburo Hanpu has three different brands, and they all have distinct tags on them. The first one is this, Shinzaburo Hanpu in green letters, the basic line. The products of this line have simple, classic designs. Shinzaburo Hanpu on a blue background means that the products are more colorful, often with a pattern on them. The bags are bolder than those of the previous line, but they are cute, and the bag in the picture even has little Astro Boys on it. These bags are a reproduction of a classic bag, and they have the logo of Ichizawa Hanpu on them surrounded by a red border. The classic design is something that makes your eyes stop, and there is something very Japanese about these bags too. So they have three different lines, and they all have a different feel to them and use different materials. I hope you will carefully choose the line you like the best! 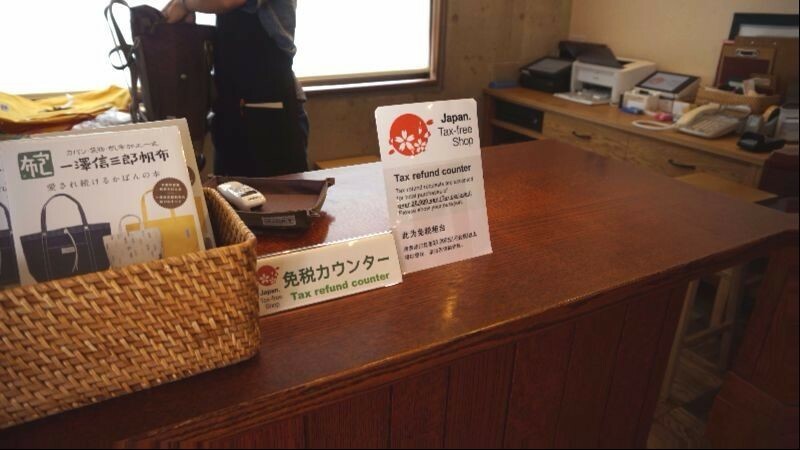 If you buy bags for over 20,000 yen, you can get them tax-free! Their tax-free counter is on the second floor. Remember to bring your passport with you. The bags are easy to use and so durable they are great for everyday use. They last for a long time if you take good care of them, and if you happen to break one, you can take it back to the shop to have it fixed. There are more bags you can count in the store. I hope you can find the one you like the best! A 5-minute walk from subway Tozai Line Higashiyama Station or an 8-minute walk from Keihan Sanjo Station. They sometimes have staff who understand English and Chinese.